Break-ups have a long long history of inspiring musicians. Usually it results in songs of hate or self-pity. 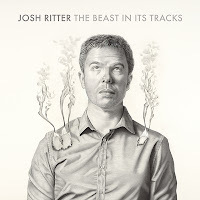 Refreshingly, those emotions seem to have had no role in sparking Josh Ritter and his new album The Beast In Its Tracks (out Mar 5th). 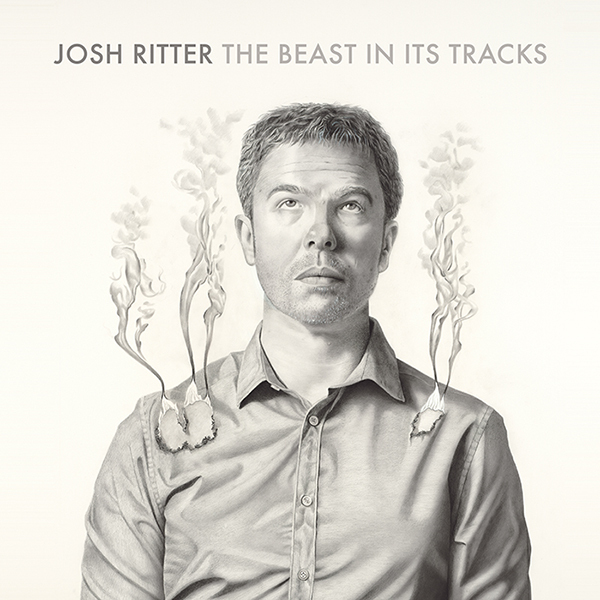 Instead the record, written by Ritter and based on the dissolution of his marriage, is a powerful, mature, and self-aware effort without a hint of bitterness. Unlike most records about lost loves, The Beast In Its Tracks looks forward almost as often as it looks back. Tracks like "A Certain Light" and "Hopeful" spend as much time speaking of the good memories and the good times ahead as they do his own heartache. Musically this is a simpler record. The tracks are less produced and there are fewer of those big building harmonies that were so prominent on So Runs the World Away. The most elaborate moment coming on the hushed, almost Simon & Garfunkle-esque "Nightmares". The songs are decidedly folk as Ritter leaves much of the rock influences aside on this one. He comes close, however, on the taut "New Lover", with its moral high ground of forgiveness. The jangle of the lead single "Joy To You Baby" evokes thoughts of "Walk On The Wild Side". It's a shame that Ritter had to experience such personal hurt, but it's impressive how he was able to translate that into such a positive piece of art. Read my review of Ritter's recent Hamilton, ON show here. Best tracks: "Hopeful", "New Lover"